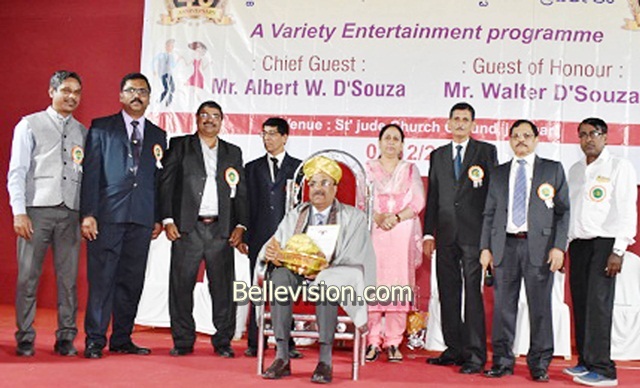 Mumbai, 06 Dec: The Mangalorean Welfare Association® Vidhyavihar, here celebrated their 45th anniversary at St Jude’s church ground, Jerimeri, here on Sunday, December 2. 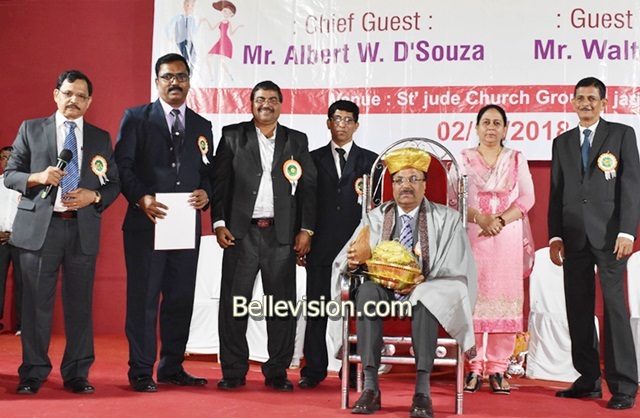 Model Bank and Aldel Education Trust chairman Albert W D’Souza and Konkani activist/entrepreneur Walter D’Souza Jerimeri were the chief guests of the occasion. The Association vice president Vincent Castelino, general secretary Leo Fernandes Jerimeri, treasurer Robert Quadros were present at the dais. 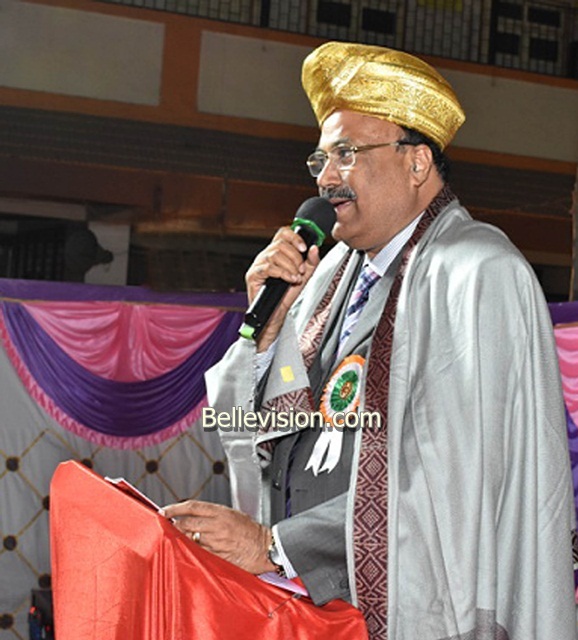 Albert D’Souza was conferred Top Konkani Entrepreneur Award, along with public honor. Speaking on the occasion Albert said, ‘Whatever we do for ourselves will perish with us. Meanwhile, whatever we do for others will remain forever,’ said Albert. He lauded the yeomen service of The Mangalorean Welfare Association in promoting Konkani and its distinct culture in Mumbai. He also announced that Model Co-operative Bank will soon get the status of scheduled bank. He also briefed about the diverse courses that are offered by Aldel Education Trust at Palghar. The Association former president Rudolph Rebello, Divo – Konkani Weekly editor and publisher Lawrence Coelho, Model Bank directors Clement Lobo and Benedicta Rebello, musicians Blany D’Costa and Devika Monteiro, yoga instructor Shanti Olivera, theater artistes Shanti Barboza, Gregory Niddody and Flora D’Souza Kalmady, cine actor Libert Olivera, Reginald Santumayor, Benedicta Nazareth, Philomena Rebello, Irene Mathias were honored for their respective contributions. As part of cultural event, Ainish Mathias presented a few mesmerizing dances. The artistes from Vasai presented Konkani skit, Chavi, enacted by Rejinald Santumayor, Albert D’Costa, Henry Pinto, Hilda D’Souza and Lawrence D’Costa. Devika and Blany D’Costa, Dr Roshni Crasta, Manuel Fernandes enthralled the gathering with their melodious singing. Shanti Olivera shared health benefits of practicing Yoga daily. The Association president Lawrence D’Souza Kamani welcomed the gathering. Robert Quadros proposed vote of thanks. Lawrence D’Souza Kamani and Leo Fernandes compered the programme. Scholarship was distributed to students who bagged top marks in different streams.